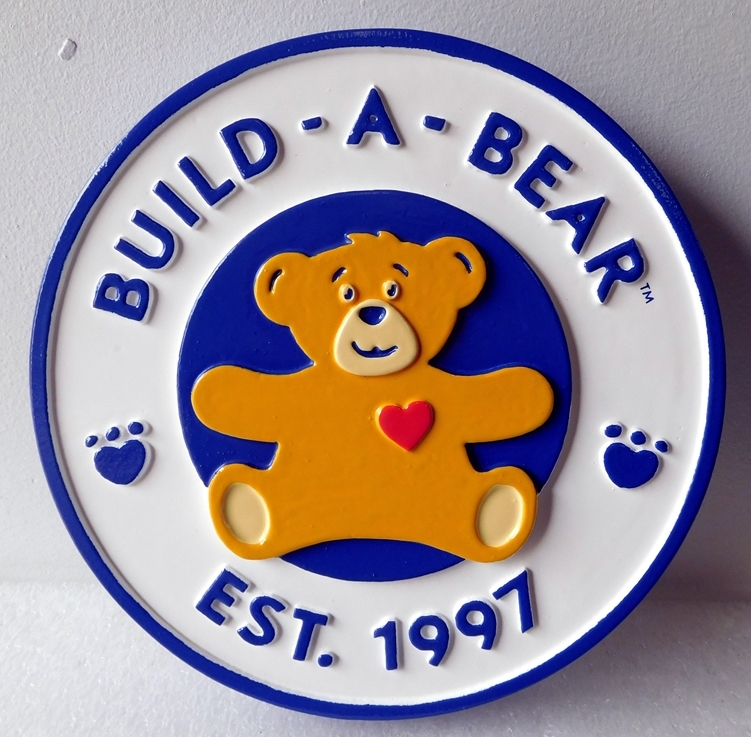 Above is a carved HDU sign for a Toy Store "Build-a-Bear" with a Teddy Bear. The lettering as well as the bear artwork and sign borders are carved in 2.5-D (raised at 4 levels in,flat relief) and artist painted with long-lasting sign enamels. The sign is completely waterproof, and is clear-coated twice for UV protection. This sign can be mounted on a wall, displayed in a window, or hung from a ceiling beam or wrought iron scroll bracket.